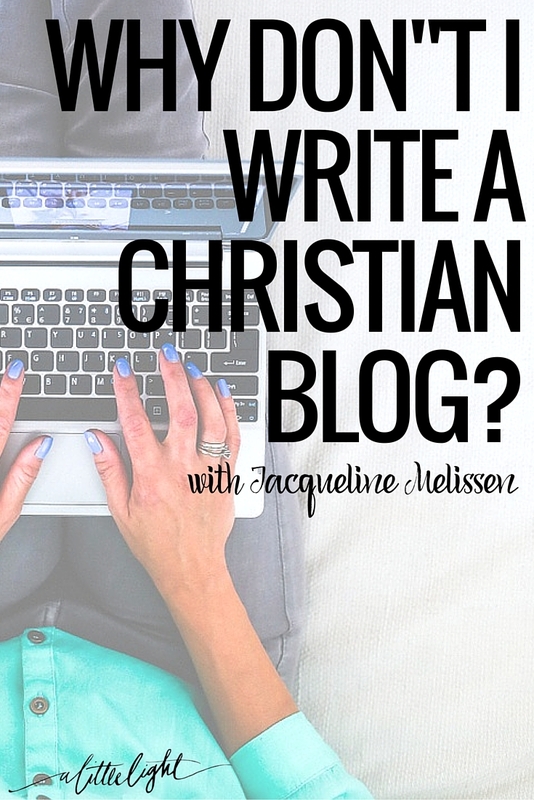 Why Don’t I Write a Christian Blog? It seems that every blogger, who is Christian, comes to a crossroad in their online work. That crossroad is often the question, ‘do I have to write about God in order to be doing God’s work?‘. It can be a maze of questioning your motives, your message, and your next move. Of course, we encourage you to share God, to glorify God, in all you do online and offline. We also want to extend grace that you can be blogging about fashion, dirty dishes, or crocheting – you could be selling mugs or computer screens, and still be honouring God and sharing his love and hope through your work. Today we have a guest post from my online turned real life friend, Jac from Two Fun Moms, a blog she writes with her friend Juli. Two Fun Moms is a humour ‘mom blog’. Their stories are real and simple and hilarious. Their posts don’t outright mention scripture, or Jesus, or try to inspire anyone with life-changing holy messages – but God is still in there. And I love how she answers the question ‘why don’t I write a Christian blog?’ . . . .
Why don’t I write a Christian blog? I’m not sure that anyone has actually ever asked me that question, but I have often asked it of myself. We don’t write explicitly about issues of Christian faith on Two Fun Moms. Instead, my friend Juli and I write about the daily humour and struggles we experience parenting small children. So why don’t I share my testimony and my prayer requests and my doubts and my prayers? A lot of people do, including some amazing writers I admire greatly. Some Christian bloggers believe it’s important to, because when you have a platform that reaches both Christians and non-Christians and an opportunity to share your faith with them, why wouldn’t you do so? It’s a good question, and an important one for me to ask myself. As I’ve pondered this, I think I’ve narrowed it down to two things. First, I think the answer is that I don’t want to write to an audience that is only (or mostly) Christians, and, therefore, I want to make sure my blog is a place where everyone feels welcome. In lots of ways, being in an online community is similar to being in a literal, physical community, and no one likes that neighbour with the religious agenda. I want to be authentically who I am, and I am not the type to introduce my faith as a topic of conversation with people I don’t know very well. I also want my blog to be funny and encouraging and uplifting and enjoyable for everyone, not just other Christians. If I want to use the internet in my very favourite way – to build positive and supportive relationships, to have non-cruel fun online, to laugh with like-minded strangers, and to generally take back the internet for good – then I can’t have an agenda that’s different from that one. There are obviously wonderful websites intended for a Christian audience – I’m loving A Little Light, for example – and we absolutely need those sites too. It’s just that my blog is not that. It is important to know who you are talking to, and I don’t think my own personal blog needs to be geared to a Christian audience for it to be authentically me. I am not ashamed of my faith, but I don’t want people to feel excluded by it. Second, the answer to the question of why I don’t write a Christian blog is that I actually do write a Christian blog. I think that we often want to separate life and culture into categories of “secular” and “sacred,” and we consume culture – watching TV and movies, listening to music, reading – with these categories in mind. We click the worship playlist when we’re in the mood for “Christian” music, we try the “Christian romance” novel instead of the more popular one to support that Christian author, and we make sure our kids watch enough Veggie Tales to balance all the Paw Patrol they’re watching. But what about when we are spiritually moved by a “secular” song? What does it mean when a Muslim writer shares wisdom that enhances our Christian faith? And how should we respond when an artist who claims to be Christian makes choices that make us question his faith? I wonder if the categories of sacred and secular are generally less than helpful, as they can confuse the question of which art and literature is worth spending time and money on, while discouraging Christians from engaging with a broad range of wonderful, positive, “secular” culture. The theologian Abraham Kuyper is famous for saying, “There is not a square inch in the whole domain of our human existence over which Christ, who is Sovereign over all, does not cry, ‘Mine!’” It’s similar to the sentiment that all truth is God’s truth, and all goodness God’s goodness. Music, art, family, love, loneliness, laughter, pain, science, nature, brokenness, literature – all of it belongs to God, even when we don’t understand what He is doing or acknowledge His divine authority. My belief in this truth, and my faith that the God I serve is fully in control and that he is good, influences all aspects of my life and my blog, even if that’s not what my blog is about. I am a Christian, and this is my blog. Doesn’t that mean I am writing a Christian blog, even when I’m writing about the time we got sick in a hotel room, or lost a toddler in IKEA, or what I think about women who wear bikinis? Ultimately, I know that the internet is huge and complicated and that there’s room for all kinds of writers. While I am very concerned and disgusted by all the ugliness I see online, I am also very often overjoyed by the warmth and love and friendship I see online, too, from Christians and non-Christians alike. 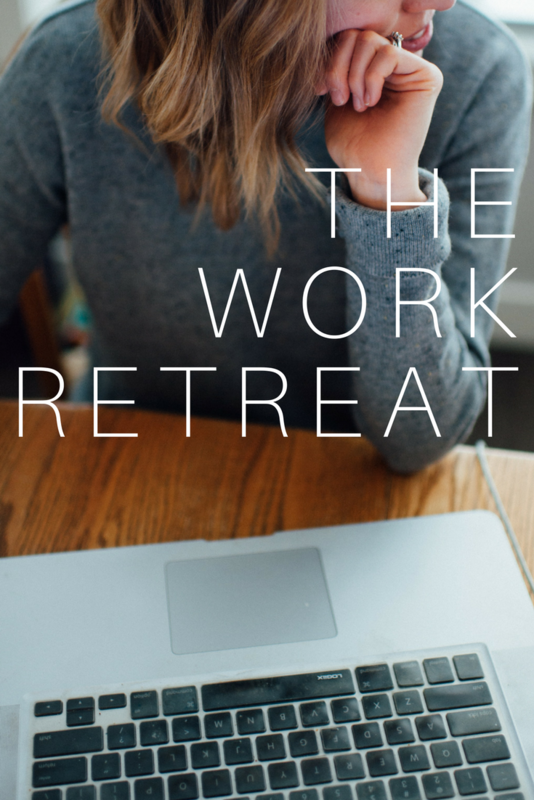 The online world is quite simply an extension of the physical world, and I am only just starting to think about what it means to be a missionary to the internet. My blog that doesn’t mention Jesus is my current way of exploring that, even if “missionary blog” is not at all my agenda; I mostly just want to share my stories and make people laugh, think, and be encouraged. If you personally choose a different method, I am excited to support you. There are a lot of ways to share the love of Christ with people – I just happen to believe that getting other people to laugh at my puke stories is one of them. //about Jac// My name is Jacqueline Melissen, and I write the blog TwoFunMoms.com. I’m an editor and a writer, a practical thinker and a reader of books, a lover of laughter and a user of sarcasm. I have four very young daughters, one out-numbered husband, a part-time job, and no time to shower. I can be found tweeting, @twofunmoms, flooding Instagram with pictures of my snotty-nosed children, @onefunjac, and regularly posting funny statuses on my blog’s Facebook page: Twofunmoms. I totally agree. 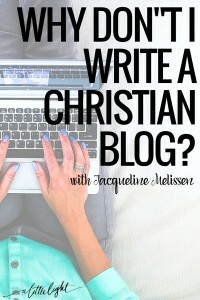 I am a hard-core Christian blogger (RadicalChristianWoman.com if that tells you anything! ), but I think that there are so many people that blog that are reaching so many people that a blog like mine will never reach. You have to be authentically you. God made each of us unique. I AM the type of person that shares my faith openly and often (I share everything openly…sometimes too much! It’s always how I’ve been). I love blogs like MoneySavingMom.com where she blogs mostly about coupons but every once in a while you hear parts of her testimony. Hi Donna! I am so excited to hear your heart for ministry and encouragement online! (Especially through laughter! We all need more laughter in our lives!) Maybe this post (https://alittlelight.ca/practical-social-media/alternatives-to-blogging/) will be helpful to you? Blogging isn’t the only way to build an audience and share your story! God bless your efforts, Donna!